News of some of our ponies who have moved on. "....he is still very much loved. Don't worry about that. Im off to university next year but i have found the perfect person to loan him and i will still see him whenever im home and they said i can have him back as soon as i want him. They love him almost as much as I do!" It is just so great to know he is having fun and being used. Seemingly, seconds after this picture in the water was taken, he suddenly decided he was drowing and leapt out of the water in alarm, I can see he hasn't altered. Well I consider myself very lucky. Ellerbeck Foxglove (above) who left here as a foal was recently broken and, perhaps unwisely, sold to a novice and unfortunately it has seemingly not been a match made in heaven so she was offered for sale again and I have grabbed her cos i want to try to find the right, long-term home for her. If anyone is interested, get in touch, at present i would only consider letting her go to knowledgeable riders as it is a shame to spoil such a super pony through inexperience. She has grown into a beauty and seems very calm and easy though will no doubt have loads of energy and be very athletic like mum. 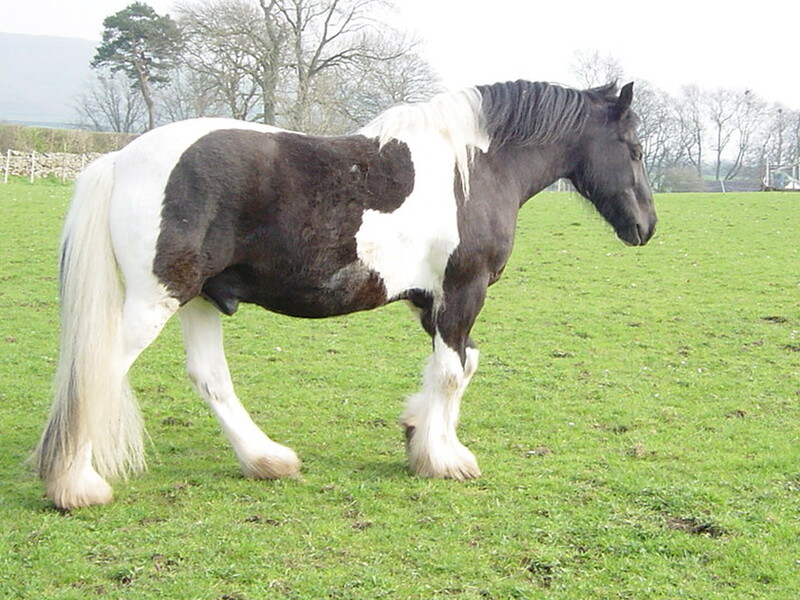 She is three now and standing about 13.2hh but I need to measure her to be sure. I bet she would make a fabulous ride and drive pony! I feel she needs at least another year to strengthen up and intend turning her out on hilly ground so she can build up her muscles just playing in the field. 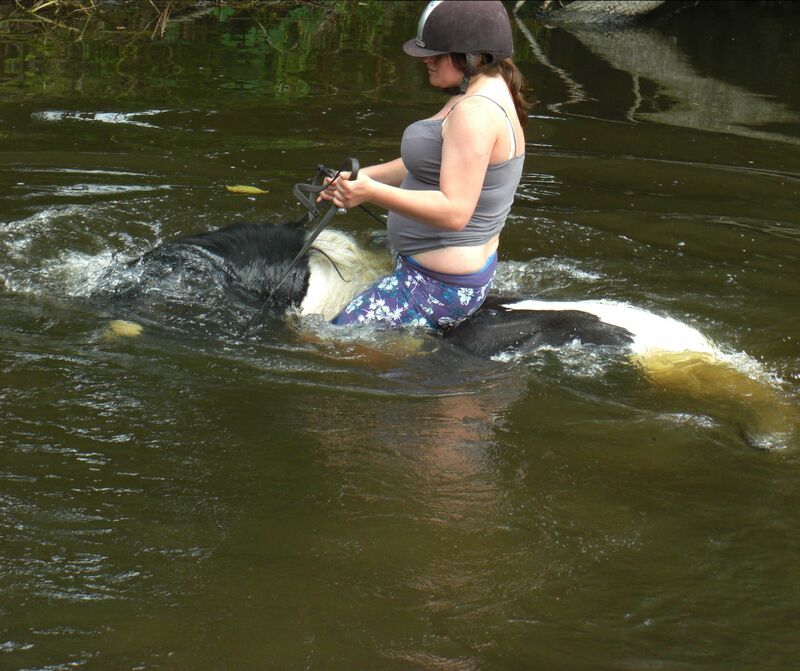 The picture above shows her being trained, I will probably do her my way and get her going western if i have time. Oh did I mention that she is out of Feather so is half sister toTonto pictured at the top of this page? 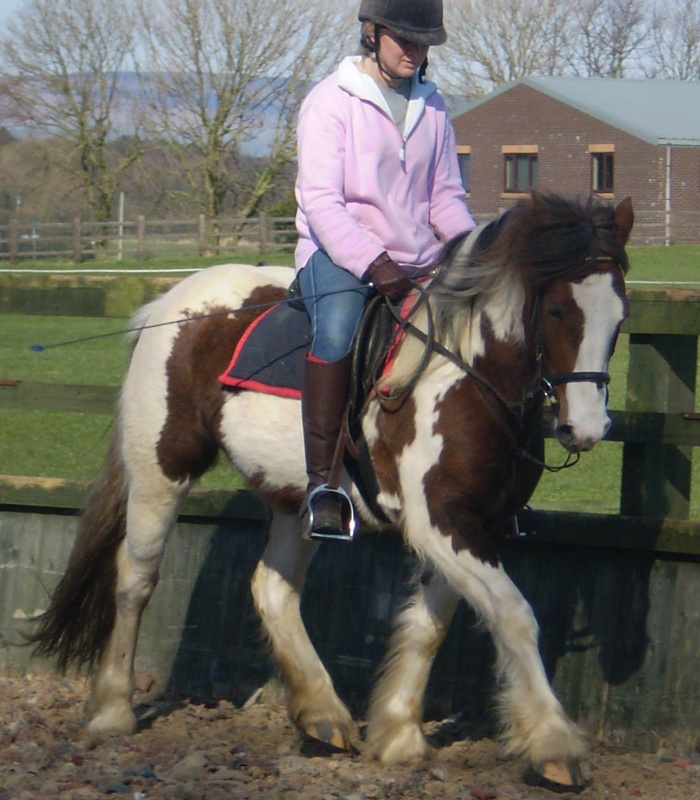 Foxy is now happily settled in her new home in Scotland with Roma who has also agreed to buy Pageant.